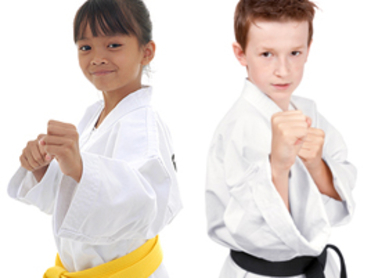 We are proud to offer kids of all ages an opportunity to learn and grow with our Kids Karate program in Philadelphia. Sign your child up today and see the difference with your own eyes! Challenge yourself with our Adult Karate classes in Philadelphia today. We're offering you an exciting new way to workout and the best part is no experience is required. Get started now! Get ready for the best total body workout you've ever experienced. Our Kickboxing classes in Philadelphia will help you see results like never before. Get started today and see real, sustainable results. Special for Holiday & New Year week closing! AmeriKick Northeast is the last place you have to look for Martial Arts Training. The Gallaghers are the best! They are the areas best for Kids, teens and adult karate classes. They start at age 3 which is perfect. They are very patient with the children and really make you feel comfortable at their school. If your looking to burn calories and break a sweat then you must try out their Fitness Kickboxing classes! Simply Amazing! Its a family run business with excellent staff. Please check them out if you haven't already! Great party! Lots of fun for kids! Absolutely amazing staff - very professional, very nice! I would recommend the place to anybody!! Thank you AmeriKick crew for such a wonderful time! Highly Recommend to anyone. Been kickboxing here for almost 3-4 years and its a friendly, fun and fabulous place to escape to. Great instructors. Great workout routines. Great classmates and owners!